The various natural disasters that we have suffered this past year, have brought climate change and its impact again to the front burner. 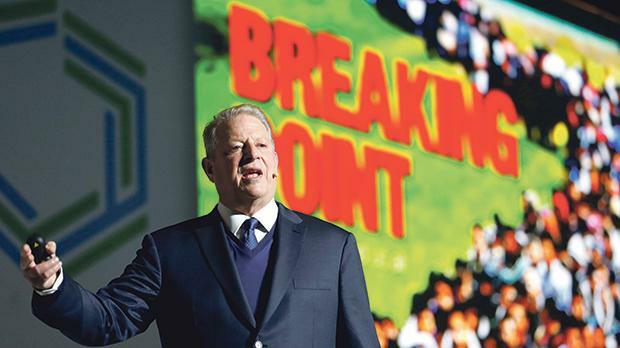 As the UN sat down for its annual climate conference on the subject a couple of weeks ago, many experts were stating that we have passed the point of no return. Moreover, extreme weather – be it typhoons, hurricanes, rain, heatwaves, snow and cold – is likely to repeat itself again and again. Reports are increasingly making it clear, that climate catastrophe is now looking inevitable. We have simply left it too late to hold rising global temperatures to under 1.5°C and so prevent a future of drowned coastal areas and cities, ruined coral reefs, spreading desertification and melted glaciers. The World Meteorological Organisation said that the past four years had been the warmest on record and warned that global temperatures could easily rise by 3-5°C by 2100, well above the target of 1.5°C. A report by the United Nations has revealed that attempts to ensure fossil fuel emissions peak by 2020 will fail. Indeed the target will not even be reached by 2030. The impact of such developments shall be a lower production of food to the extent that there may really not be enough food for everyone. There would be large displacements of populations such that the current immigration flows will look like a joke compared to the massive movement of persons that there would be. The World Bank says more than 140 million will become climate refugees by 2050. Economies will face severe unemployment problems because of loss of economic activity. The total cost, across the whole world, of such circumstances has been estimated to be in excess of €14 trillion. That is something like one-fifth of the world’s gross domestic product. Admittedly there are those who believe that all this talk about climate change is one big hoax and should be ignored. I do not subscribe to this view. I believe that climate change will pose a severe threat to our societies and to our economies. It will change the way we live and will cause a deterioration in our quality of life. Unfortunately, the problem is that the prospects of tackling climate change in a meaningful way have been weakened by the stance taken by a number of political leaders. Global investors have also expressed their concern at the United Nations Summit on climate change. They asked for urgent cuts in carbon emissions and the phasing out of all coal burning. They said that without these, the world faces a financial crash several times worse than the 2008 crisis. They asked governments to end subsidies on fossil fuels and to introduce taxes on carbon. It is also worth noting that these key players in the global economy claim that the low-carbon economy presents numerous opportunities and investors who ignore the changing world do so at their own peril. Malta will not be exempt from the impact of climate change. Our economy will suffer and land space will shrink, making our population density worse than it already is. Certain economic activities such as tourism may be dealt a mortal blow. Admittedly there is little that we can do on the world stage, except put pressure on international institutions and individual countries. We can also make our little contribution to reduce waste and carbon emissions. Yes, this is all very scary as I strongly believe that climate change should scare us all.